Ignite Farm identifies high potential consumer packaged goods and technology ventures with a primary focus on the food ecosystem. Amid historic shifts in consumer, buying and eating habits, food products that are healthy, organic, and composed of clean ingredients are rising to the top. We look for innovators with the power to lead, disrupt and change. Nation’s #1 Organic BBQ Sauce On a mission to introduce barbecue lovers across America to the bold, new tastes and creative culinary expressions found in award-winning California BBQ, the Kinder’s BBQ innovative spirit is on display in an assortment of quality products. Smartphone Facial Recognition Until now, the power of facial recognition technology has been reserved for governments and a select few. With application spanning verticals, Facetec brings the power of ZoOm facial recognition technology to the masses through the convenience of the smartphone. Convenience with a Conscience Pioneering the next generation of meal and snack solutions that meet the needs of choosy consumers by delivering category-leading quality, better for you ingredients, and on-trend flavors in the frozen food and snack food segments. Room Service Reimagined Powered by MenuMe, SendBot brings on demand room service and concierge alternative for hotels and resorts with a unique ability to reduce bottom line expenses for hotels by delivering high margin items and services to guests via smart robot. Protein Supply Chain for Generations SunFed Ranch draws energy from clean soil and our powerful sun. The best, time-tested tool for growing feed for growing our livestock. Ignite Farm is working with SunFed Ranch to build the protein supply chain of the future. Sustainable. Source-verified. Healthy for the land and consumer. Quality husbandry translating into premium flavor. The Future of Organic Agriculture. Pure Green’s patented technologies remove CAFOs, eliminate the organic agriculture yield gap through the production of high value certified organic fertilizers, and increase profitability for farms. Life’s Favorite Moments The success of Facebook, Twitter and Pinterest tap into the human desire to be connected with others. Favement meets an untapped need for all of us to enjoy a life shared and remembered. It energizes a lifestyle that encourages us to spend more time with each other, allows us to build lasting relationship, to be the truly social animals that we are. Better-For-You Convenience Handheld sandwiches that are convenient, tasty, and better-for-you. Always crafted with select quality ingredients and never any shortcuts, providing the same care and approach that you would provide to your family. Celebrity Video Chat Vyu Labs is a platform for rapid development of social streaming apps. FanDate is the premium platform and app for celebrities to video interact with fans and live broadcast to millions of other fans. FanDate offers Celebrities opportunity to monetize their fan base on all social networks with integrated sponsorship and commerce campaign management in every FanDate video session. Certified Organic Fast Food The Organic Coup is the nation’s first certified organic fast food restaurant. It is a movement inspired by our collective desire to choose alternatives to Fast Food. This fast-growing concept has several locations open and many more scheduled for opening this year. Organic, clean and spectacularly tasty, The Organic Coup is a food revolution. The Organic Coup completed Series A investment round in early 2016. Intelligent Messaging Cordial’s data-driven messaging platform brings advanced testing and optimization to the modern marketer of today & the emerging Internet of Things tomorrow – giving you leading edge technology applied to Email, SMS, Push & all future messaging technologies. 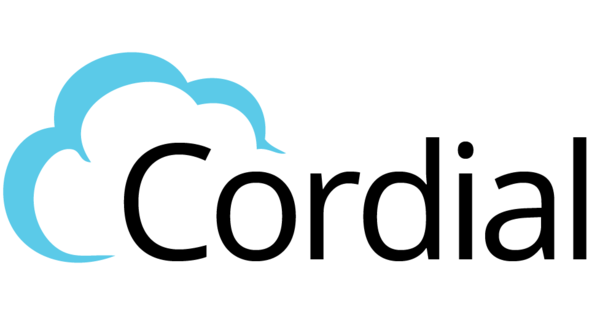 Cordial completed Series B funding round in early 2018. The current food investor ecosystem is composed of Micro VCs with limited resources, PE funds focused mainly on profitable companies, and corporate VCs with rigid investment parameters. Ignite Farm is able to win by showing startups the immediate value we provide. We have decades of experience growing products from concept to reality and rapidly driving sales in startups across industry and stage. In particular, Ignite Farm has growth and operational resources that food startups can leverage to scale quickly while using capital efficiently. Through our history of working with CPG retailers and investors in various sectors, we have established a trusted network of thought leaders, investors, and industry experts who provide Ignite Farm with opportunities that fill gaps in consumer needs. We are a team. We are industry veterans with a track record of top tier performance. We leverage deep industry relationships and operations expertise to bring innovative food and technology startups to market more efficiently. Our combined food and venture capital experience allows us to win highly competitive deals while maintaining investment discipline.